A delegation representing the UN Counter-Terrorism Committee Executive Directorate (CTED) is due to arrive in Sri Lanka for a three-day visit today, during which the team is also scheduled to visit Jaffna. 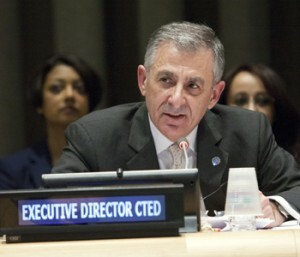 The team that is headed by CTED Executive Director Jean Paul Laborde is to achieve three main objectives as per the request of the Security Council Counter Terrorism Committee. This visit occurs against the backdrop of a series of tragic incidents that occurred as a result of religious extremism created by several groups such as the BBS that have been described as terrorist groups as well as claims by the government regarding attempts to revive the LTTE. – Addressing measures put in place by Sri Lanka to implement Security Council resolution 1624 (2005) that calls upon States to enhance dialogue and take all necessary measures to counter incitement of terrorist acts motivated by extremism and intolerance. The delegation is to meet several government officials and are due to stress on the importance of defeating terrorism not simply by military, law enforcement or judiciary decisions but also through constructive dialogue with communities. Members of the delegation include counter-terrorism experts from CTED focusing on legislation, law enforcement and countering violent extremism as well as representatives of the UN office on drugs and crime and INTERPOL.